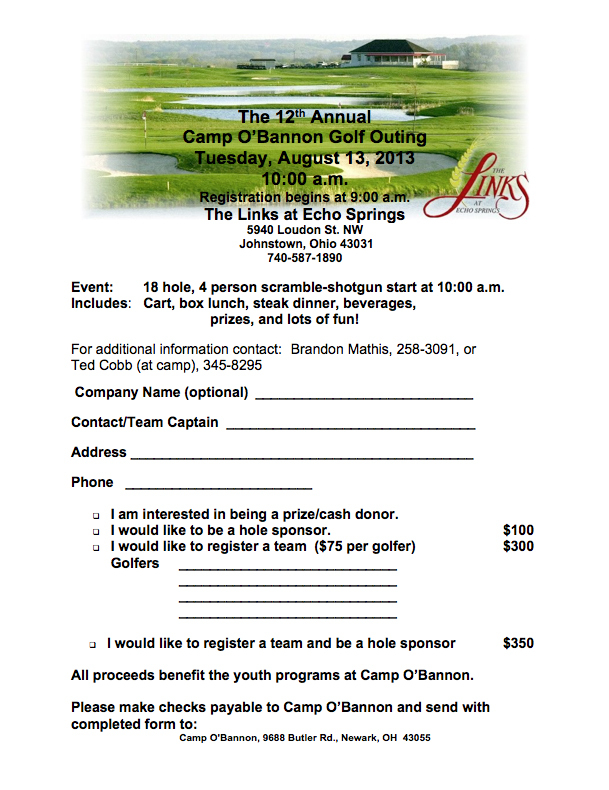 Aug. 13, 2013: 12th Annual Camp O'Bannon Golf Outing! Oct. 19th and 20th: Camp O'Bannon Murder Mystery Dinner! Sept. 30th - Camp O'Bannon's 90th birthday benefit! Camp O’Bannon’s 90th Birthday Benefit with The Buckinghams! Now, The Buckinghams will be debuting special arrangements of their music with the Newark Granville Symphony Orchestra. Also performing will be vocalist Susanna Gabbiano, a frequent guest of the Las Vegas Symphony Orchestra, and Newark’s own Common Thread, the very popular trio of Hugh Price, Kevin Plaugher, and Tim Hofmeister. The much needed proceeds from this very special birthday celebration benefit Camp O’Bannon, which provides a residential camp experience and opportunities for underprivileged and at-risk children in Licking County. In the history of Camp O’Bannon, no family has ever had to pay for their child to attend camp. This is possible only through community support and fund raising efforts such as this concert. Proceeds from this Buckinghams-NGSO concert will help ensure that Camp O’Bannon continues its mission to assure every camper enjoys fun, friendship and the guidance of trained and caring camp counselors, now and in the future. Each summer, over 400 children ages 9-17 (ages 9-13 at main camp, 13-15 at “Outpost” camp and 16-17 as counselors-in-training) enjoy the full summer camp experience, which includes field trips, arts & crafts, swimming, nature education, team building activities, and citizenship. It’s a chance for campers to see the world through new eyes, learn new life-skills and just have fun being a kid. Camp O'Bannon began in 1922 as a “Fresh Air” camp for TB patients and was supported by the state of Ohio. In the 30’s, the camp was relocated to its present site and became one of Licking County’s six original United Way Agencies. O’Bannon receives major support from the 20th Century Club and the Newark Kiwanis. We are pleased to welcome Enterprise Rent-A-Car, Park National Bank and The Newark Metropolitan Hotel as major sponsors for this event. Currently, other sponsors include Licking Memorial Health Systems, Boeing, Guitar Guys, Gummer Wholesale Inc. and Fiberglas Federal Credit Union. Our very special media sponsor for this event is KOOL 101.7 WNKO! Concert tickets are available at the Midland Theatre box office. Prices start at $25.00. Mark your calendars now for Sunday, September 30, at 7:00 p.m., to celebrate Camp O’Bannon’s 90th Birthday Benefit with The Buckinghams. 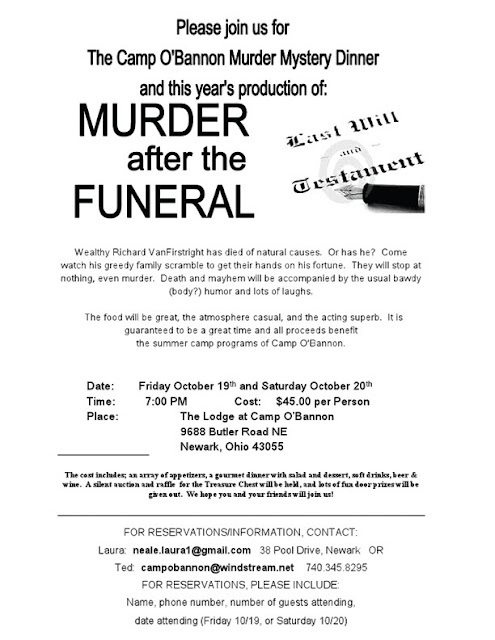 For more information, and to buy tickets, visit the Midland Theatre’s website, www.midlandtheatre.org or call Bob McAleer, 740-344-6725. Please include the following information in your community calendar. What: Camp O’Bannon’s 90th Birthday Benefit with The Buckinghams! Why: Fundraiser to help continue the mission of Camp O’Bannon of providing a free summer camp experience to underprivileged and at-risk children. 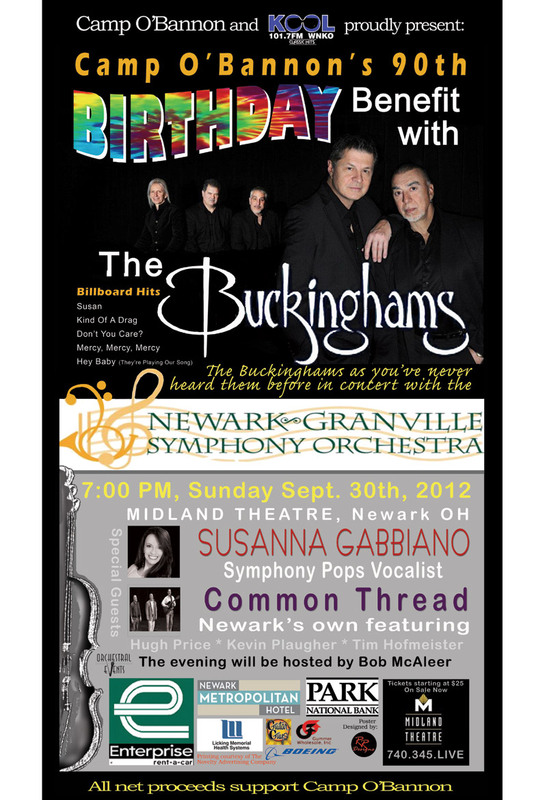 Performances by The Buckinghams with the Newark-Granville Symphony Orchestra, Susan Gabbiano and Common Thread.